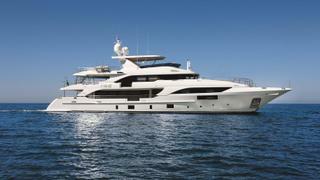 The past week has seen a steady flow of superyacht sales, with 11 yachts over 24 metres changing hands. The combined asking price was in excess of £55 million ($74 million). It was a particularly successful week for Northrop & Johnson, who closed two sales, and it is also notable that two new-build yachts were sold this week. had the advantages that you've had." This data is available to BOAT Pro subscribers only. Please login or subscribe to BOAT Pro to access it. 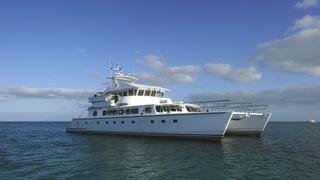 Four price drops were announced on yachts for sale this week, for a total reduction of £1,280,000 ($1,680,000). Only one of these reductions was higher than £500,000 ($673,000). 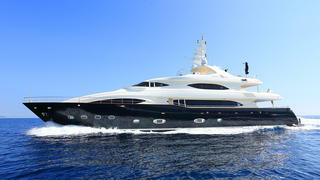 Eight new yachts were listed for sale this week with a combined asking price in excess of £30million ($40million). IYC was the most active with two new listings, while 39.6 metre Bunker, listed with World Yacht Group, is the largest new yacht for sale.